The natural way to dry your laundry faster and save energy! 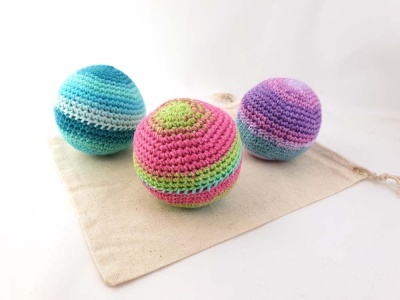 A set of 3 natural handmade crocheted dryer balls. 100% vegan, reusable, biodegradable and plastic-free! 100% vegan, reusable, biodegradable and plastic-free! 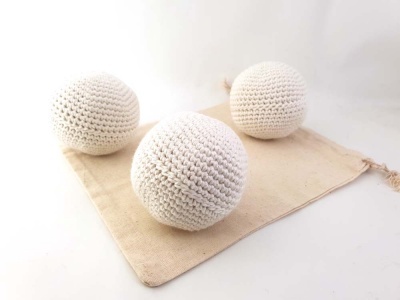 A set of 3 natural crocheted dryer balls, handmade with 100% cotton. Pop them in your dryer to save time and energy. Lovingly handmade in the UK by Lucy at The Pie Patch. 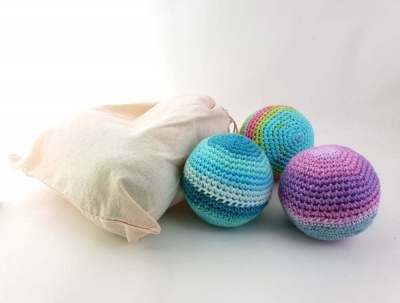 This set comes with some instructions from Lucy and a handy natural drawstring bag for storage. 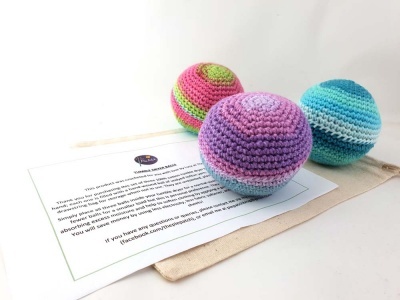 On small or medium loads, these crocheted balls consistently out-perform wool balls & cut the drying time from using nothing at all. 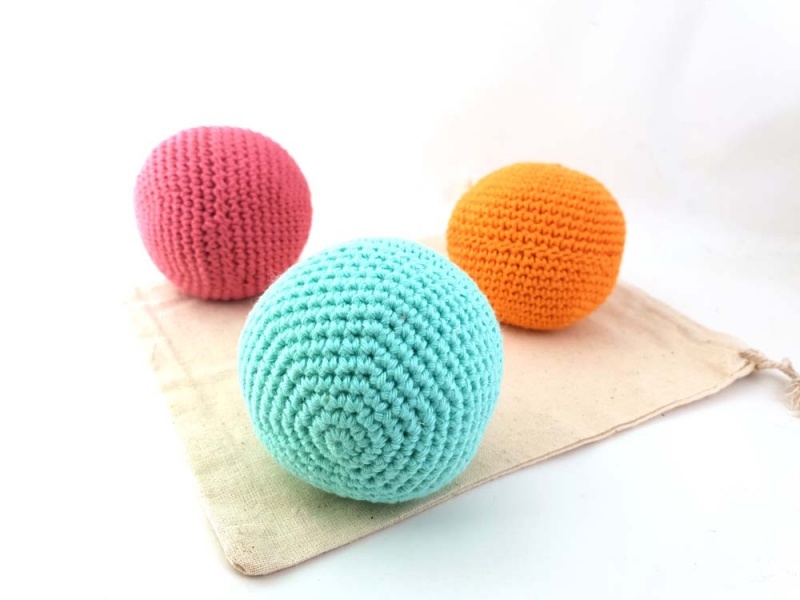 On large loads, the crocheted balls match wool ball drying times. Go Vegan, save time and money. 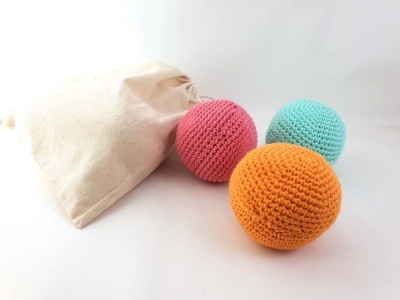 These dryer balls also help soften your clothing without using fabric softener. Made with 100% cotton. Inside is a hand-wound ball of undyed cotton yarn. Eco tip - Switch to a renewable energy supplier and dry your clothes on 100% renewable energy.